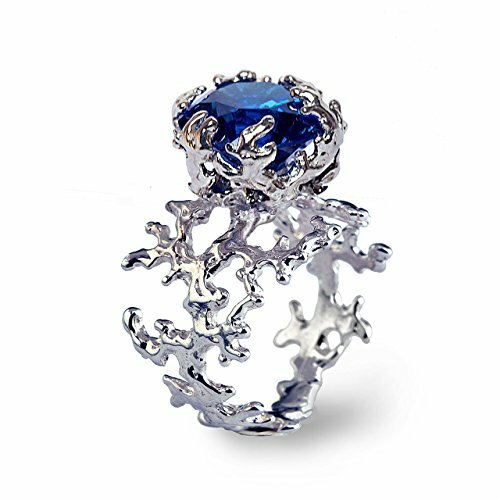 The elegant coral structure of the ring guests and firmly holds a large Sapphire gemstone, highlighting its color and brightness. Available in Sterling Silver, Oxidized Sterling Silver, Yellow/Rose Gold Plating, Solid 14k/18k Gold. Available with a large selection of Gemstones. The ring is sent beautifully gift-wrapped. If you have any questions about this product by Arosha, contact us by completing and submitting the form below. If you are looking for a specif part number, please include it with your message.